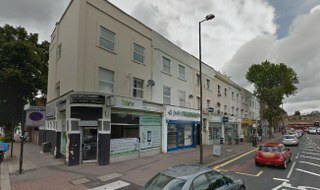 Are you moving to a new house in Isleworth, TW7? Perhaps you’re relocating to a new office? Do you want to say goodbye to the stress and hassle? Moving Service is here to help you say goodbye to all of your moving worries and fears! If you can’t find a TW7 removal van, if you’re struggling with moving furniture in Isleworth or if you just want a reliable team of house movers then we’re the ideal company for you! With our range of affordable moving services you won’t struggle to find the help that you need, and you won’t be able to find anyone more experienced, more reliable or anyone more friendly than our relocation specialists in Isleworth! Find out more today by calling us on 020 8746 4402! Professional Moving Services You’re Going to Love! Our company has many fantastic and professional removal services to offer, including help with office removals and house removals! When you hire our company you’ll get the professional and reliable help that you need, whether you’re looking for a van or for moving teams. Lots of people turn to us for their moving day, and with our skilled moving experts and excellent selection of services, we’re guaranteed to provide you with the best level of service imaginable! Isleworth is the Greatest Place to Live! Found in West London, the area is a part of the London Borough of Hounslow, and is a town of Saxon origin. This thriving small town has lots to offer its residents, including a public library, leisure centre, four recreational grounds and a wonderful town hall. The sense of community can’t be missed, making it a fantastic place for those with families or children. It is perhaps most famous for the film studio which it once housed. The Worton Hall Studios was once a studio which Humphrey Bogart and Katharine Hepburn both filmed at, and although the site is now an industrial estate, it still remains a point of interest. Another fantastic site is the 38 meter barge which is the home of a mental health charity, focusing on working with disabled people and the arts. This is a brilliant and exciting place to call home, and with so much to do and see, why live anywhere else? Avoid the Stress of Your Move With the Help of Our Isleworth Movers! Move the Easy Way with Our Company! Moving, whether to a new area or a new building, can cost you and your family a lot of money, which is why many people choose not to hire a removal company for fear of the added costs. Our company, however, works to provide competitive and affordable prices that you won’t see anywhere else in town, and you won’t find a better level of service anywhere else either! Find out more and hire us for your moving day to save money, time and stress right now! Moving Service is just waiting to help you with your move in Isleworth, TW7. From your heavy lifting to your van-loading, from your furniture removals to finding man and van team, there’s nothing that our experts won’t be able to help you with. For an easy and efficient moving day just pick up the phone now, and give our company a call on 020 8746 4402 – hiring us is the best decision that you can make for your move in Isleworth, so get in touch with us today!